Long plagued by traffic congestion, the heavily traveled intersection of 169 and 494 received approval from the Federal Highway Administration (FHWA) for performance-based design that would reconstruct the existing interchange to provide increased levels of service and safety to the travelling public. As a partner on the winning team of C.S. McCrossan, Edward Kraemer and Sons – a Joint Venture, and Jacobs its lead design firm, Braun Intertec provided more than $5 million in services that included geotechnical, drilling, environmental and field testing. The new design includes six roundabouts, flyover ramps, and numerous structures to accommodate traffic, which includes phased construction of eight ramps and the removal of stoplights to help reduce congestion and improve safety. Other design features include connecting the north and south frontage roads under TH 169, converting the expressway to freeway with partial directional interchange reconstruction, and constructing noise barriers, visual barrier, drainage, and water quality facilities. The project began in October 2010 and was completed in November 2012. 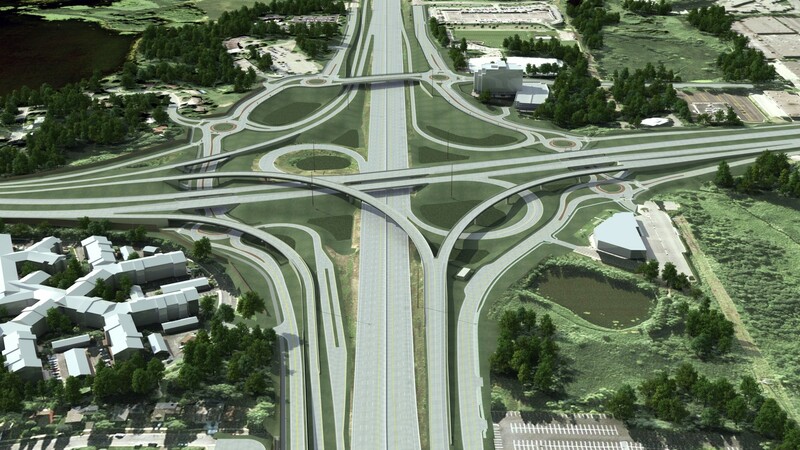 The TH 169/494 reconstruction project met more than 90 percent of the needs while saving costs. Braun Intertec engineers were vital members of the project, working closely with the McCrossan/Kraemer team to develop unique engineering recommendations and cost-effective designs for the project. This innovative approach included placing approximately 40 percent of the bridges and retaining walls on spread footings (as opposed to pilings) and analyzing the potential for embankment settlement. As an important member of the winning team, we were able to successfully demonstrate our ability to deliver creative solutions to meet our client’s needs and set ourselves apart from the other competing teams.